Michigan will play at North Carolina State in the 2015 Big Ten-ACC Challenge. Michigan and NC State will face off on Tuesday, December 1st. Time and television information for the Big Ten-ACC Challenge will be released at a later date. The Wolverines last faced the Wolfpack during the 2012-13 season and beat NC State, 79-72, at the Crisler Center. NC State is coming off of a 22-14 season that ended with a Sweet 16 loss to Louisville. 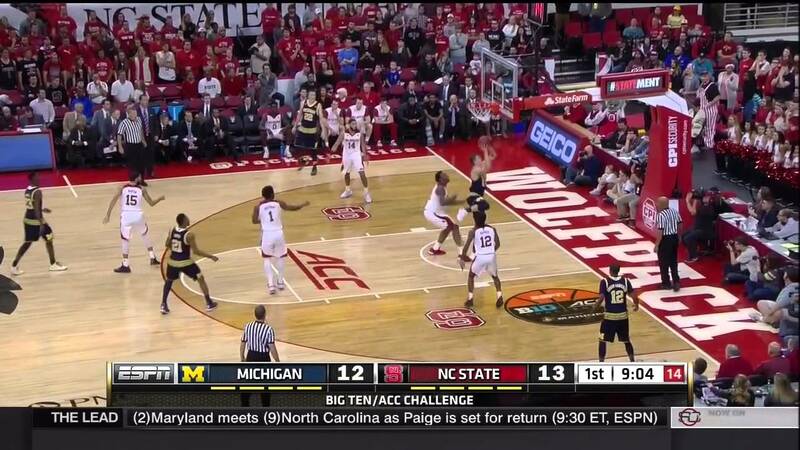 The Wolfpack lose leading scorers Trevor Lacey and Ralston Turner from last year’s squad. The Wolverines will also host Xavier on November 20th, travel to SMU on December 8th and participate in the Battle 4 Atlantis in the Bahamas over Thanksgiving. A full run down of future scheduled dates can be found here. Here’s a full rundown of Big Ten-ACC Challenge matchups.